There is no joy like the joy of harvesting fish from your own backyard aquaponics system. This not only gives the satisfaction of raising your own fish but again being sure that the fish you are eating is clean, healthy and is a toxic-free source of protein. Many fish can be raised in a closed system. With aquaponics, you can keep a very high variety of fish in your tank. It is highly recommended to research what types of fish are best for your local area by weather conditions and legality. Local fish species are easier to get and you won’t need a permit or license to keep these types of fish at home. If you are planning on getting foreign or exotics fish you may have some legal restrictions, and you will need to consult a specialist. While many types of fish can thrive in a closed system, some will need special care and some are very easy to maintain. Here are some of the best fish for aquaponics. Tilapia is a great and tasty edible fish that adapts easily to most environments. It is a tough fish and has a diverse diet. They can survive on algae, worms, insects, and even fish; commercial aquaponic systems frequently use plant-based foods, although they are not as commonplace as other options; yet. 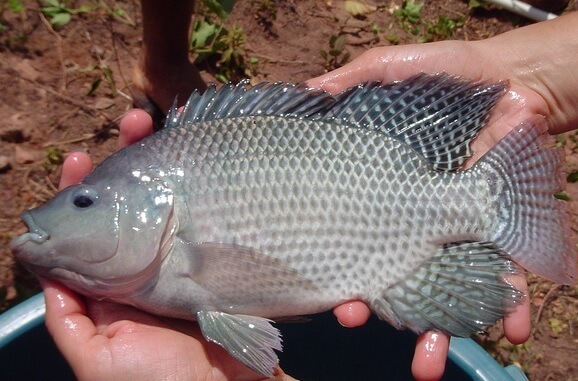 In fact, tilapia is one of the most popular choices for aquaponics fish, simply because it is so hardy. They have a reputation for being almost impossible to kill. They prefer a temperature range of 82° – 86°F but can survive outside of this range. The same can be said for their preferred pH of 6.5 to 9. They die when the water goes lower than 50°F (10°C). The harvest time for tilapia fish is between six and eight months depending on the size you want and how warm the water is. You should harvest them when they reach approximately 1 pound in weight. Although hardy, water below 50°F will make these fish die. Breed very quickly; this can be an issue if you have a small aquaponics system. To read more about tilapia click here. The Murray Cod is a great choice if you are planning on high stocking densities in one fishtank. They are particularly happy with different types of perch. This fish will grow very fast even in a closed environment. Of course, as they grow they will eat fish smaller than themselves. However, it is worth noting that you’ll need to feed it well and satisfy its appetite otherwise the hunger will take control over your fish tank and the fish will attack each other. This type of fish is recommended for people who have time for the maintenance that is involved. If you look after them they can live as long as 50 years! You’ll need to keep the water temperature between 46° and 75°F with the pH at between 7 and 8. Once they hit 1 pound, which should be within 12-18 months, you’ll be able to harvest them. Good with other fish; providing they are a similar size. Can live for a long time. Relatively hardy and can accommodate fluctuations in temp and pH. When big they are carnivorous to other, smaller, fish. If you have a high stocking density you’ll increase the risk of bacterial or fungal infections. To read more about Murray Cod click here. Catfish are great for aquaponics system, although, after adapting to the tanks they will grow fairly quickly. It should be noted that catfish do not thrive in dirty water, clean water is best for it. These fish are so adaptable that they know how to survive in a very harsh environment; areas like polluted ponds, so after adaptation, these fish will be fine. You’ll also appreciate the fact that catfish are comfortable with water temperatures of between 75-86°F. These are fast-growing fish, they can be 1 pound and ready for the plate in 18 months. Not territorial – can be bred with other equal seized fish. Good tolerance to water temp variations. (warmer water does encourage growth). Several different species of catfish; ensuring you have the right one for your climate and needs. Taste good, that’s a benefit if you’re planning on eating them. They require high protein fish food. Very sensitive to being handled; avoid if possible. In case you are not planning of eating fish from your tank you can aim toward ornamental fish. Goldfish is a great choice as aquaponics fish and it is easy to take care of. Although commonly seen as ornamental fish, or won at a fair, they are actually a very tough species and can live in a high level of water pollution. It is worth noting that there are two distinct types of goldfish, the single tail, and the twin tail. The single tail goldfish tend to be faster and more aggressive than its cousin. Of course, the twin tails do tend to be prettier. They should grow to a pound in size within 12months. However, this is less of a concern if you’re using goldfish as they are not normally harvested for food. They can actually get to be 1 foot long. Goldfish generally thrive in water that’s between 78-82°F (25-27°C). It will even accept a pH that moves between 6 and 8; that makes it as hardy as tilapia. Very hardy and tolerant of pH changes. You can’t mix twin and single tails in one tank. Not an edible fish which may give you an issue with overstocking in the future. 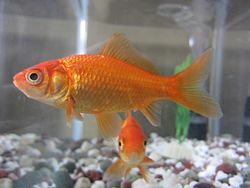 Read more about goldfish for aquaponics here. Koi fish is part of the carp species but because these types of fish are normally sold as an ornamental fish they are in a different category. Koi fish usually live in artificial ponds so it is safe to raise them in a tank. It is worth noting that you can mix koi fish with eatable fish, providing you make sure they are not fighting and there is enough space in the tanks for all of your fish. 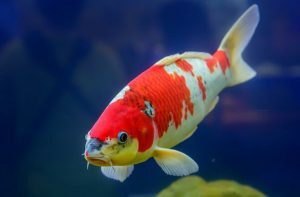 Koi carp can actually survive in temperatures ranging from 35°F to 85°F; that makes them one of the hardiest fish alive! The fact that they like eating algae is great for your system and for your budget. It’s better to keep them in a range of 59 to 77°F (15-25°C) for optimal growth and lesser stress. They are less tolerant of pH levels, preferring a range between 7-8. But, they can grow as long as 2 feet and live for up to 30 years. That’s a bonus for stability in your aquaponics system! Not a fish for eating; you may have stocking issues in the future! Can produce excess waste as they age, making it difficult to keep your system healthy. To read more about koi click here. Having a shrimp aquaponics system is a good idea in raising profit out of fish. It is a gold mine. The small tasty creatures, hands down the number one seafood consumed in the world as the demand continues to grow for the beauties at a low rate. They are part of the crustaceans family. 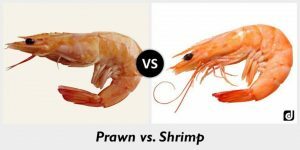 Prawn and shrimp may not be the first choice when establishing an aquaponics system but they are an excellent choice as they provide nutrition for your plants and nutrition for you. They can tolerate a pH range of 6.5-8 but are not good at coping with temperature changes. You’ll need to make sure you’ve got these sorted before the shrimp and prawns arrive in your tank. You should be able to start harvesting your shrimp and prawns within 3-6 months. To read more about shrimps and Prawns click here. 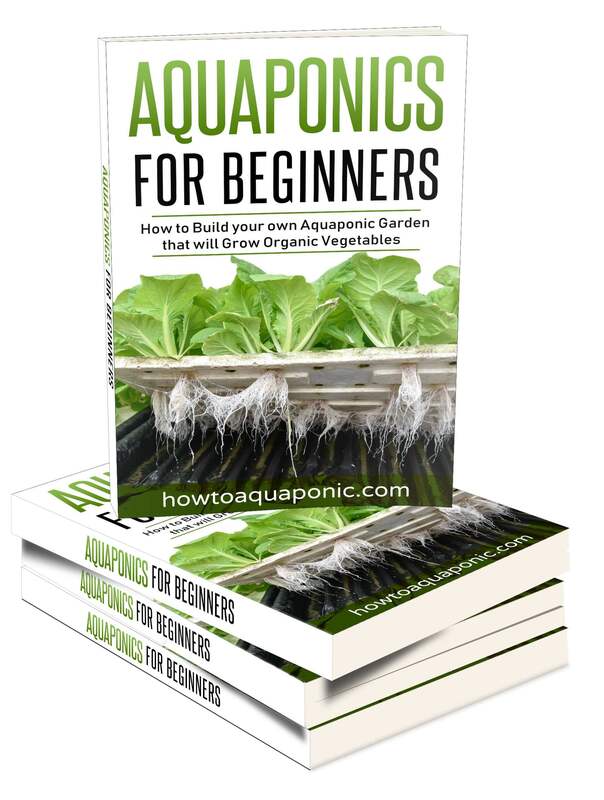 It’s 170+ pages filled with information so you can start growing organic vegetables and fish in your own backyard aquaponics system! It’s available in paperback or ebook format. Trout prefer cooler water which makes it easier for you to maintain your system. Of course, you’ll have to make sure the vegetables prefer colder water as well. You should aim to keep the temperature between 45°F and 65°F. Trout grow very slowly. They reach one pound in 4 years in the wild. Feed on a wide variety of options, including fish, insects, and soft-bodied invertebrates. Can’t be kept with other fish. Need high dissolved oxygen levels in the water (minimum 10mg/liter). Crappie is part of the sunfish family. There are two species of crappie, these are the black and the white crappie. 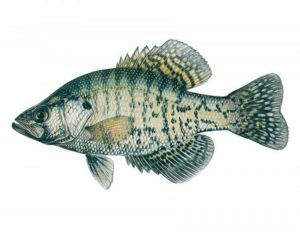 The black crappie can be between 5” and 19” long and generally weighs ½-1 pound; although the largest ones can weigh 3 or 4 pounds. It has a deeper and darker body than the white crappie which grows between 6.7” and 20.9”.The white crappie weighs similar to the black one. They should reach harvesting size of 1 pound within two years. Can’t be combined with other fish. Guppy has two main species, they are the common guppy and the Endler guppy. The common guppy is also known as the million fish or rainbow fish. It is very colorful and will make an attractive addition to your tank. 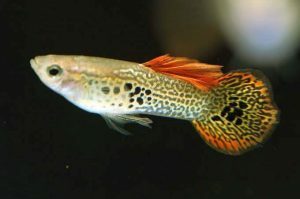 However, the Endler guppy is even prettier to look at. They have a small temperature limit, that ranges from 74°F to 82°F. In addition, you’ll need t keep the pH level between 7 and 8; the wide range will help you to find the perfect environment for these fish. You probably won’t be surprised to learn that it’s best not to combine them with other fish. In general, they are hardy fish and look good, growing to just 1 inch long and not reserved for your plate. 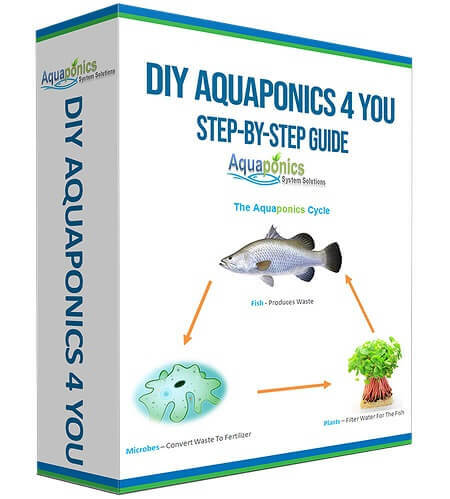 Read more about guppy aquaponics here. There are many different tetra fish species around for you to choose from, each one more pretty than the other. 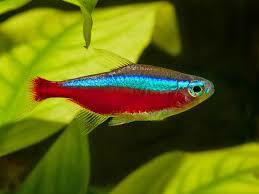 The most popular options are neon tetras, cardinal tetras, serape tetras, diamond tetras, and glowlight tetras. These fish are mainly used for small indoor aquaponics system because they are very small and not for eating. They prefer temperatures between 70°F and 81°F with a pH of between 7 and 8. This makes the fairly time consuming to look after as they are not the hardiest of fish. It’s worth noting that they grow quickly, they’ll be full grown by the time they are 6 months old. Can’t be combined with other fish; your tetra will suffer. Small temperature tolerance makes regular monitoring very important. Read more about the tetra fish for aquaponics here. The red ear sunfish is a popular choice when it comes to eating snails and other unwanted insects in your aquaponics system. This fish is used by the UVI system to get rid of snails under the floating rafts, and it’s very good at it. These fish are used in large commercial operations for that purpose. It is a relatively hardy fish, able to deal with temperature fluctuations between 65°F and 89°F; although the best temperature for these fish is 73°F-77°F. Equally, you’ll need to keep the pH level between 6.7 and 8.6. They will take roughly one year to reach a pound in size, that’s good enough for the plate and about half their overall size. They are not meant for eating but to keep the snail population down. 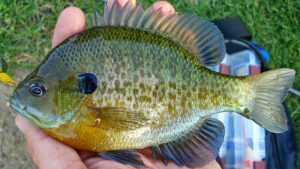 Click here to read more about using red ear sunfish. Using yabbies is another popular choice when you want to clean your tank other than prawn or shrimp. They are more aggressive but can withstand temperature fluctuations better; tolerating temperatures between 53°F and 68°F. Ph levels also need to be monitored as they’ll need to stay within the range of 7.5 to 9. 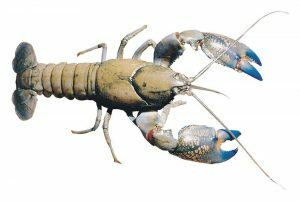 The yabbie is a type of crayfish but not all crayfish are yabbies! They will be ready to eat within 6 to 12 months depending on how you want them. Yabbies don’t need a lot of water. Having them in your sump is great. Will eat nearly anything you give them. Click here to read more about using yabbies in your system. 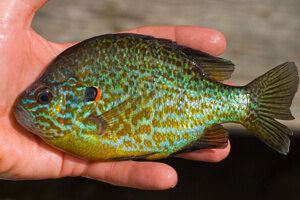 The bluegill is mainly used in North America because it’s a native fish. You can catch them in their natural habitat and transfer them to your system. They are known to do well when combined with other fish and are surprisingly hardy. Their preferred temperature range is between 70°F and 75°F. The Bluegill is a very popular fish for eating, which makes it a good option for breeding in aquaponics. They’ll be plate size within a year. The pacu is a special fish. They live in the jungle or rainforest and eat fruits and plants, they do require warm water. They get fat before the fruiting season ends and retreat to deeper waters and live off their fat reserves until the following year. It is worth noting that they bear more than a passing resemblance to a piranha, but they don’t eat meat. 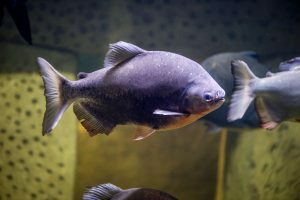 You may be surprised to discover that the pacu can actually grow to 3.5 feet long and weigh an impressive 88 pounds! You’ll need to keep your water temperature between 75°F and 80°F to keep these fish happy. Warm water reduces oxygen levels; you may need to aerate your tank. Keeping the temperature cool will result in a high potential for disease. Jade perch is a popular option in Australia because it’s their native fish. They like the temperature of Australia so why wouldn’t you choose for the jade perch if you live in Australia? It feeds itself on vegetables so you can feed them your vegetable waste that normally goes in the composting bin, making it a very easy fish to look after. The Jade Perch can reach plate size within 12 months and is especially high in omega-3 fatty acids. They are happy in water temperatures of 60°F to 80°F but do prefer the higher end of this range. It should reach plate size of 1 pound within 12 months. Breed fast which could lead to overstocking if you’re not careful. If your temperature goes below 65°F they will stop eating. Read more about the jade perch for aquaponics here. The silver perch is a vegetarian fish and can actually be taught to eat pellets. It’s a tasty fish that originates from Australia; they are quite distinctive as they have small heads and large bodies. It should reach 1 pound within 12 months and be ready to harvest. But, the best thing about these fish is not actually the taste or their look. It’s the fact that they grow best in water temperatures ranging from 73°F to 82°F; that one of the biggest ranges you’ll find in any fish. The pH can be between 6.5 and 9 and they’ll still be happy! 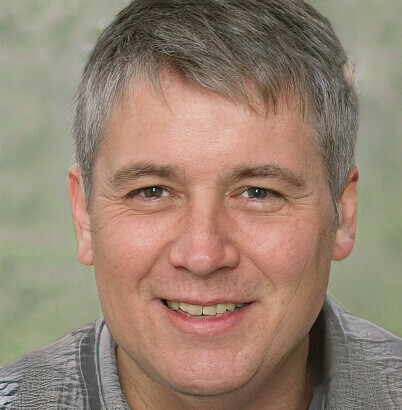 In short, you can match them to virtually any type of plant. Read more about the silver perch here. The salmon is a healthy fish to grow in your aquaponics system. It’s also very delicious and has good growth rates. However, if you want to grow these fish full size you’re going to need a big fish tank for these to thrive. They take approximately 2 years to reach full size but will be big enough to harvest within two years. You’ll need to keep the water temperature between 55°F and 65°F and the water will need to keep moving. They are social fish, tolerant and friendly, providing you don’t have too many in a small space. 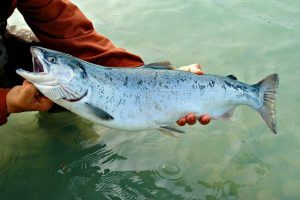 Salmon are generally more likely to contract diseases than many other types of fish. Read more about salmon for aquaponics here. That’s plenty to choose from. 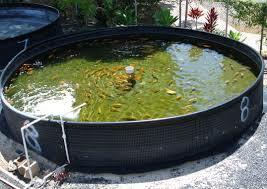 If you have a pond or lake nearby you can fish them out and put them in your aquaponics system. As well as being very tasty they are a hardy fish that can cope with low water temperatures, making them a great option if you live in a cooler climate. Whichever type of bass you choose it should reach a pound within a year and be ready for your plate. Water temperatures will need to be between 65°F and 80°F. Your pH will need to stay within the 6.5 to 8.5 zone. Eat almost anything; from insects to worms, or even pellets. 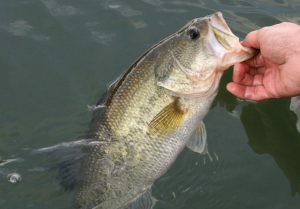 Bass are top feeders so you can assess their consumption easily, and adjust accordingly. They don’t need a lot of protein, allowing you greater freedom with what you feed them. You’ll need to monitor potassium levels as changes in this can quickly make your bass ill.
Do you live in a cold climate and don’t like trout? Then you should consider arctic char for your aquaponics system. It’s quite similar to salmon in taste and behavior but, as its name suggests, is much better for the coldest (arctic) climates. As a bonus, it has beautiful colors. This is one fish that is going to need little monitoring if you live in a cold climate. Of course, warmer climates will make it difficult to keep the water cool enough for them. Their preferred temperature range is below 60°F with a pH of between 6.5 and 8.5. Fully grown they can reach between 2 and 8 pounds, but you’ll be able to harvest them at plate size within a year. Like to swim in shoals which allows you to have more of them in your tank; boosting the number of plants you can grow. They are very easy to get hold off and there are not normally any regulations regarding their use. Of course, these fish can get big; you’ll need a large tank for them. Not an option if you live in a warmer climate, the fish will struggle and potentially die. 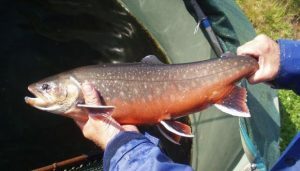 Read more about Arctic char for aquaponics here. This fish is a well-known one in Asia, where it originates from; that’s why it’s such a highly cultivate fish there. The fact that this fish originates in Asia will tell you that it is a lover of warm water. This means you’re going to need to keep your tank heated. You’ll need to keep it between 71°F and 80°F to keep them happy. They have big appetites, which will mean a lot of waste to feed your plants. 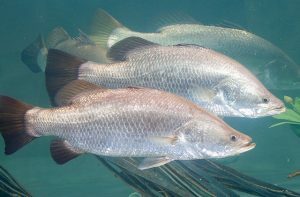 If you’re breeding you’re going to have to separate the fingerlings, the adult barramundi will eat them. Excessive food consumption can lead to the nitrifying bacteria being unable to keep up; effectively damaging the balance of your system. Read more about the barramundi here. The yellow perch is a small but tasty fish. If you have a small tank, and great taste, this fish is for you. This is the cousin of the silver perch mentioned early and another great choice for your aquaponics system. It’s actually quite a pretty fish but it does like water temperatures between 66°F and 70°F; that will need close monitoring to ensure your water stays within this range. Very tasty which is a plus if you’re planning on eating your fish. Shallow water tanks are better, allowing you to keep an eye on your fish. Can be trained to eat pellets. Breeding requires lowering the temperature of the water to 45°F for a month; this won’t be good for plant growth. It can be difficult to keep the temperature in the right range; making it not the most popular aquaponics fish. 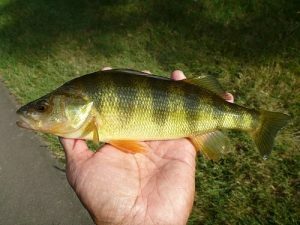 Yellow perch are cannibals; you’ll need to make sure they are all a similar size. 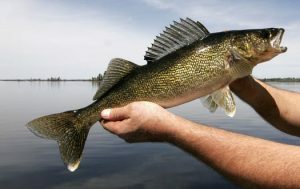 The walleye is a popular fish among sports fishers. It’s a fish that is prevalent in Canada and North America and has a distinctive look; its eyes point outwards. This actually helps the fish to see better in deeper, darker water; helping them to catch their prey. A full-grown walleye can be 31 inches long and weigh as much as 20 pounds. However, in your system, they should reach 10-12 inches within eighteen months and weigh approximately 1 pound; making them perfect for harvesting. They may not look the best but they definitely taste nice. You will need to keep the water temperature between 65°F and 75°F, while the pH can fluctuate between 6 and 8; that makes them a fairly hardy fish. Very easy to look after; they sit in the dark and feed occasionally; that’s it! Works well with most types of plants, thanks to the range of pH it can accommodate. They don’t generally adapt well to commercial food. Read more about the walleye here.